Care homes are at high risk of fire and their fire safety procedures need to be more complex than in other residences. In 2016 there were 120 accidental care home fires in London alone. This is why compliance matters — having the correct fire safety procedures in place saves lives. Prevention is the best form of firefighting. 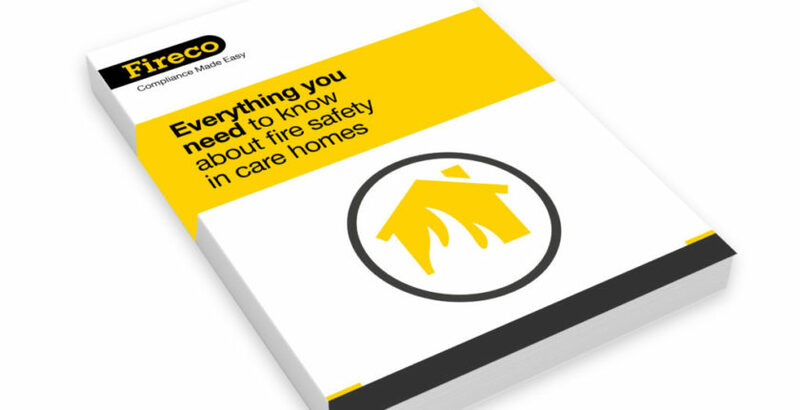 Fireco’s new eBook ‘Everything you need to know about fire safety in care homes’ makes compliance easy. The eBook is free to download and is aimed at anyone in a care home responsible for fire safety. Fire safety can seem complicated to those that are unfamiliar with fire regulations. The eBook simplifies the topic, with a step-by-step guide that clearly explains how care homes can remain safe and compliant. Responsible Person: The person in charge of fire safety is the Responsible Person. The eBook gives guidance as to who has the role of Responsible Person and their duties and legal obligations. Fire risk assessments: These are covered in detail, and the eBook has a checklist to take you through the process. Examples of common hazards are included, as well as sources of ignition and fuel. PEEPs: The eBook also features a personal emergency evacuation plan template. Fire prevention: The more people are aware of potential fire risks, the safer the premises. The guide covers what to look out for, and how to ensure everyone knows what to do if they spot a fire hazard. Training: Frequency of training and what needs to be covered are explored, as well as fire wardens and drills. Emergency plan: The eBook features a detailed checklist of what you need to think about when preparing your emergency plan. Evacuation: Different evacuation methods are covered, including progressive horizontal evacuation and delayed evacuation. Deaf and hard of hearing residents: Deaf and hard of hearing residents will not hear a fire alarm, so the guide has advice on notification systems.